A lovely morning spent at Will and Natalie's beautiful converted stables home meant I was spoiled for choice when taking photos of the dress, shoes and the amazing flowers by Endrick Blooms. 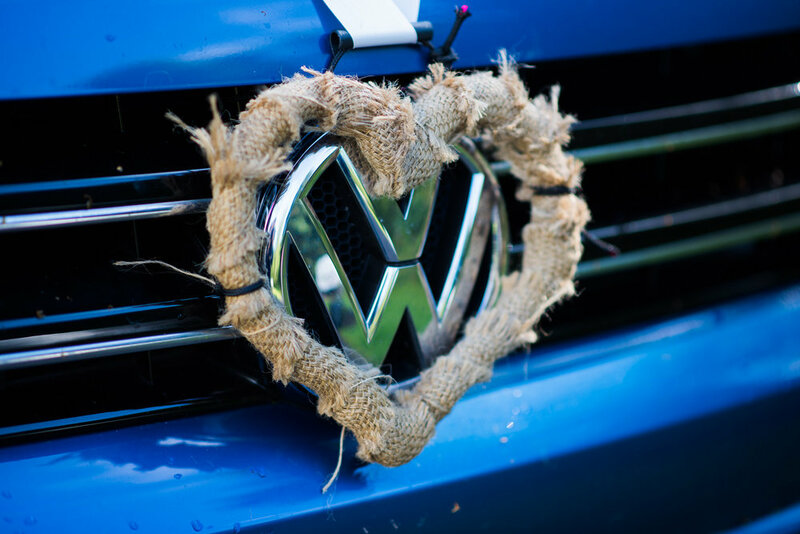 Great to arrive to see Will's handy work on their VW T5 camper van too! Then the showers came and we had a dramatic entrance to Doune Castle as the rain poured down from above. But that rain was short-lived and we were able to get outside into the grounds of this amazing castle. And not knowing the area that well, I was delighted when they suggested stopping at a little bridge where you can see the castle in the background. 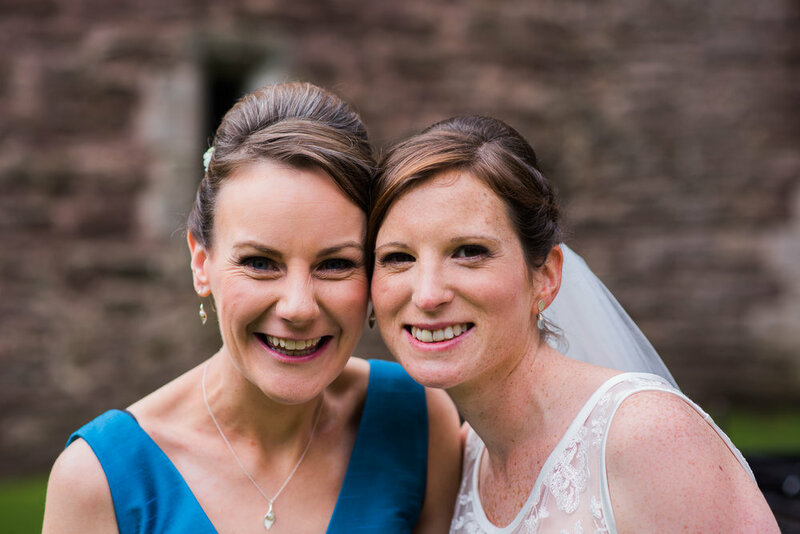 Fantastic to work alongside Three Sisters Bake again at their Killearn Village Hall venue and that cake! Oh and a special mention has to go to Nick & Jack from The Veritable Ceilidh Club as they performed during the ceremony. Particular highlights were Stand By Me and then Falling Slowly during the signing. Amazing stuff! 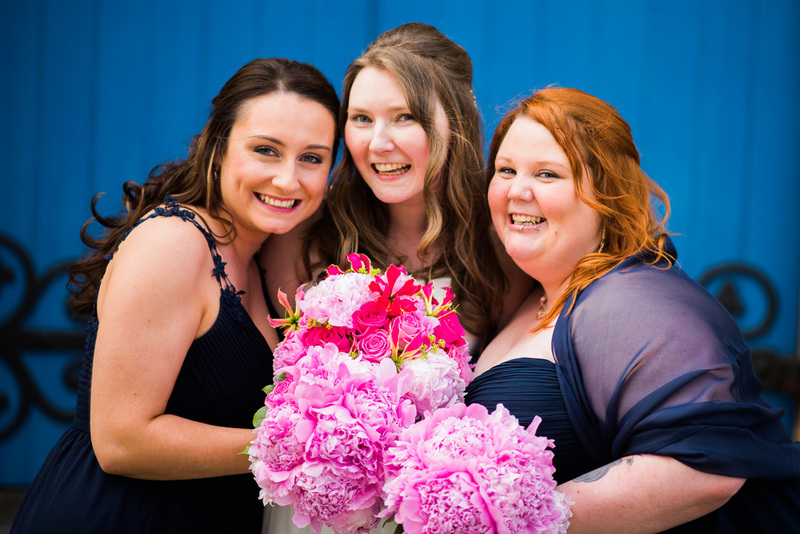 So sit back, relax and enjoy this little sneak peek from another fabulous wedding day. Wedding dress by Dragonfly Dress Design for Scotland Wedding. 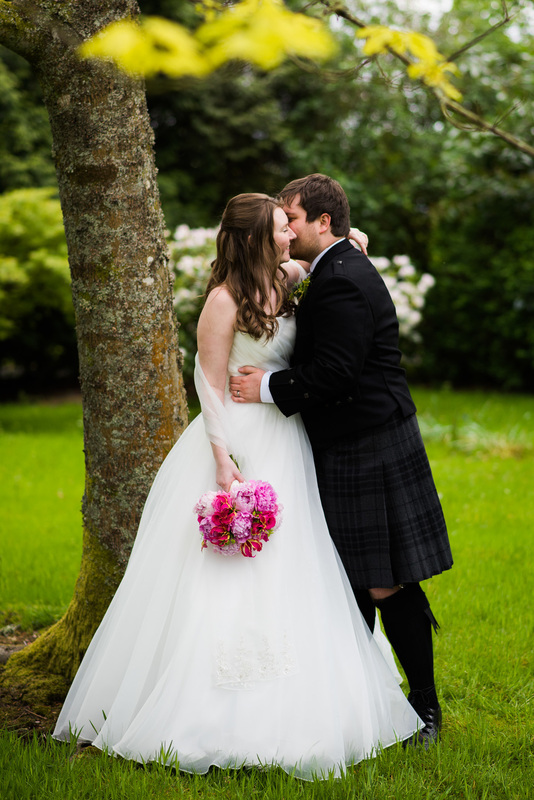 Wedding bouquet by Endrick Blooms in Killearn for Scotland Wedding. 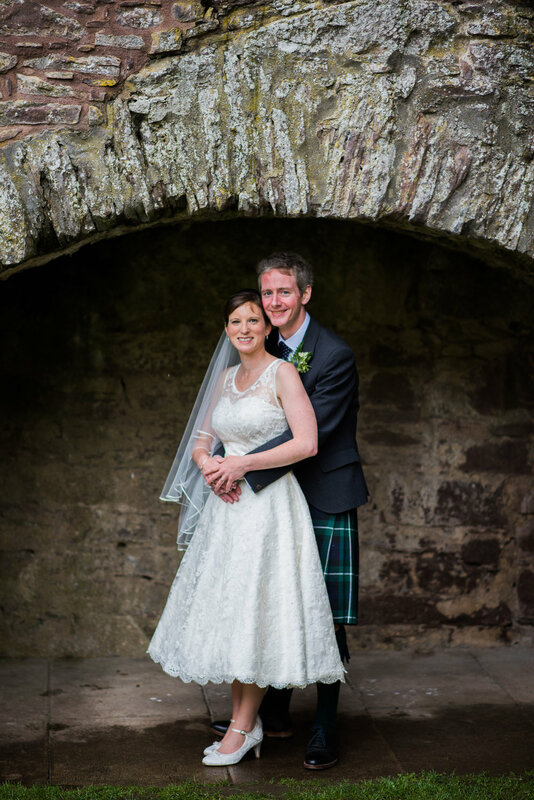 Scotland wedding couple at Doune Castle. 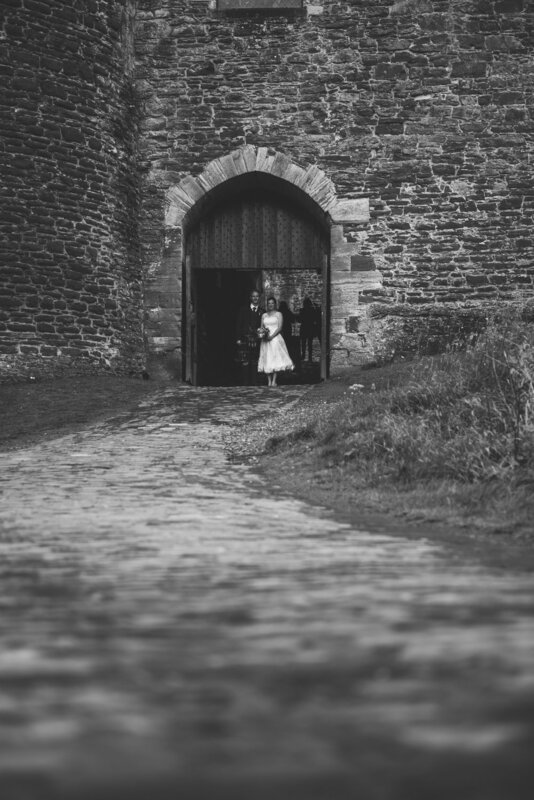 Bride and Groom standing facing each other at Doune Castle after their Scotland wedding. 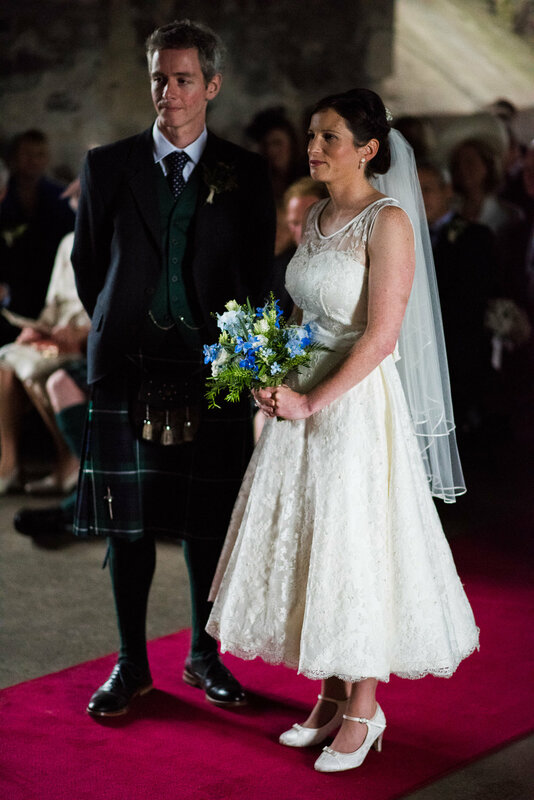 Bride wearing Dragonfly Dress Design wedding dress and holding bouquet by Endrick Blooms at Doune Castle. 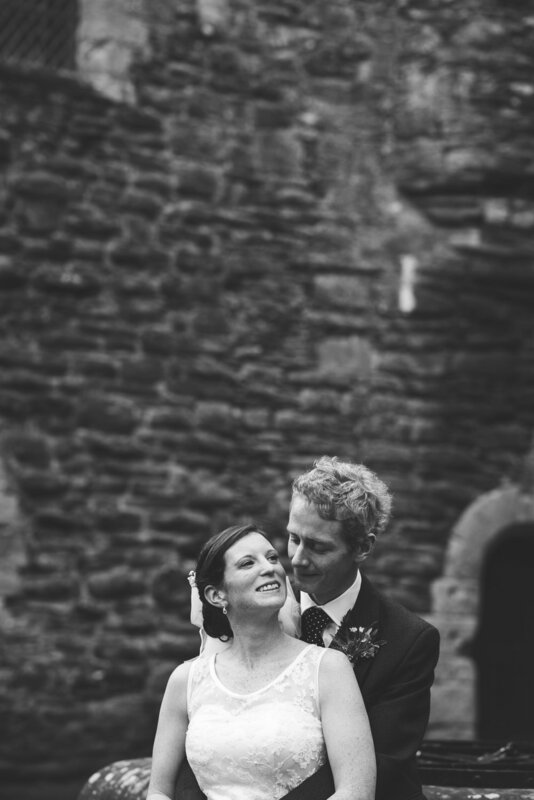 Bride and Groom laughing at Doune Castle after their Scotland Wedding. 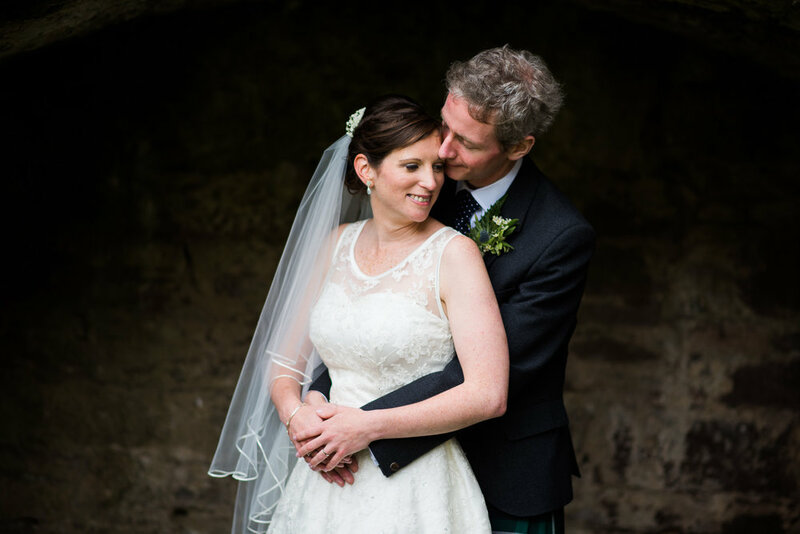 Bride and Groom sit in grounds of Doune Castle after their Scotland Wedding. 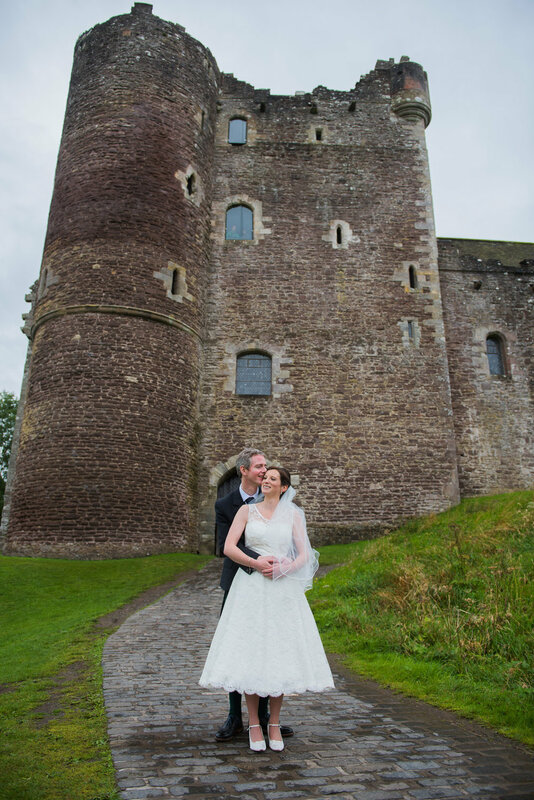 Wedding couple stand in front of Doune Castle after their Scotland Wedding. Wedding cake by Three Sisters Bake at Killearn in Scotland. 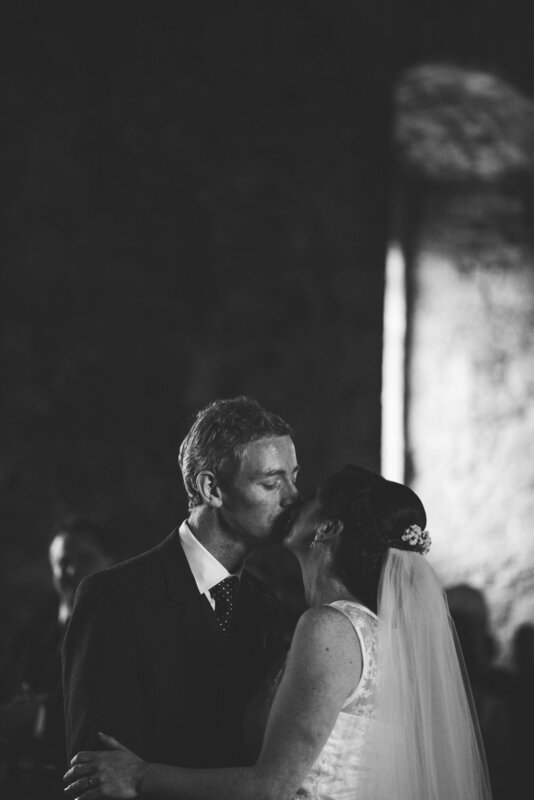 Bride and Groom doing wedding ceilidh at Three Sisters Bake Killearn in Scotland. My very first wedding at Killearn didn't disappoint and Three Sisters Bake were, as ever, amazing. Killearn has so much to offer, plenty to explore. 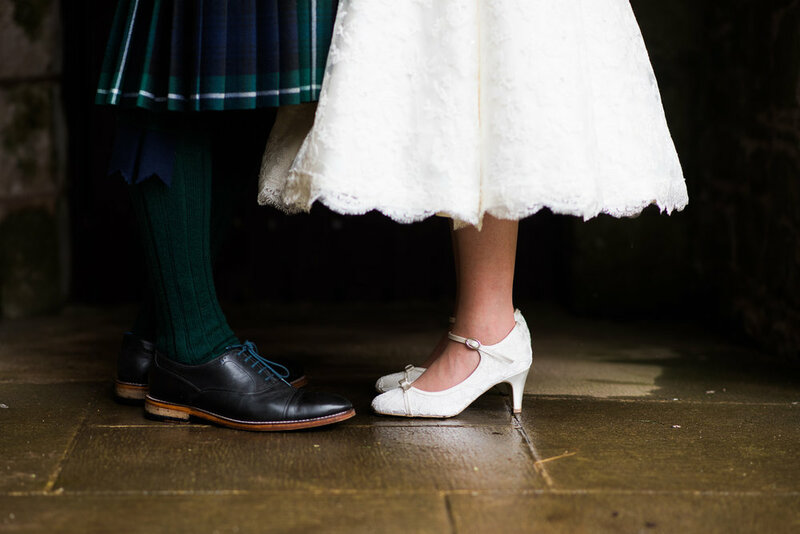 For couples planning their wedding, there was only one place to go this weekend, a wedding showcase hosted by Three Sisters Bake at Killearn Village Hall. Situated in stunning surroundings and overlooking the hills and Loch Lomond in the distance, Killearn is Three Sister’s Bakes’ second cafe. But it’s so much more than that. 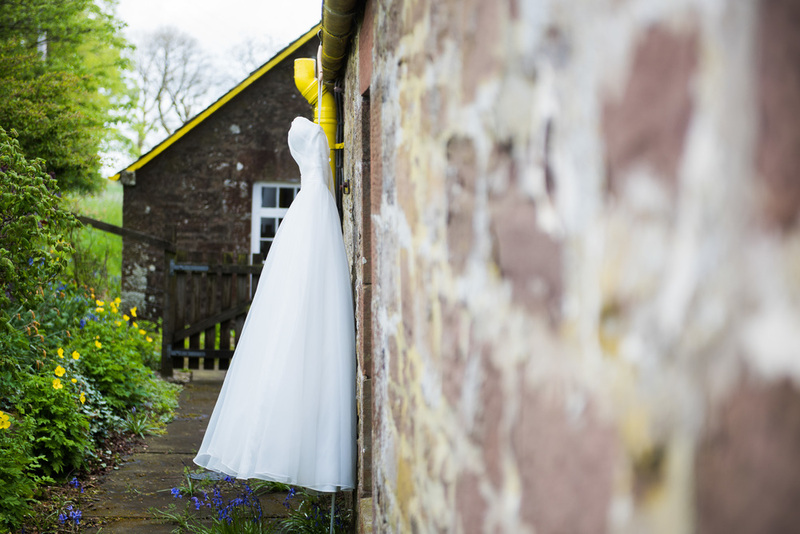 Adjoining the cafe is the village hall, a blank canvas for you to style however you like for your wedding. And more recently, the newly renovated garden room located directly beneath the cafe allows your guests to mingle and gain access to the lawn. The wedding showcase was no ordinary wedding show/fair/fayre (delete as appropriate!). It brought together suppliers with a passion for what they do. The result was a relaxed atmosphere with an incredible vibe for people to explore and experience. Lemonbox Studios came together with Kendrick Blooms and between them they created a little magic which you can see in the images below. It was incredible seeing the ideas they came up with to make a warm and inviting room. 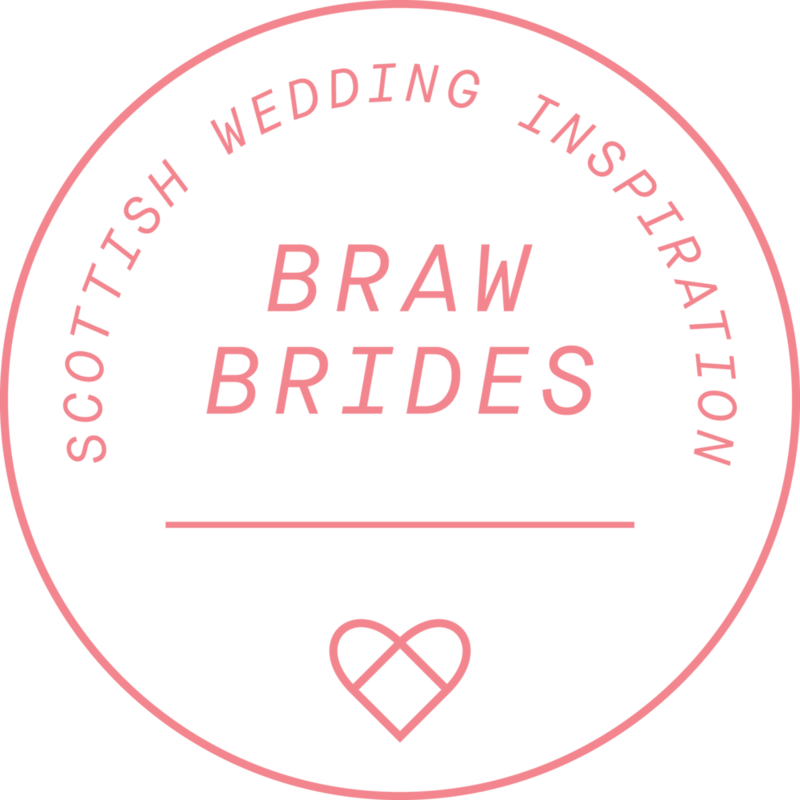 So take a look through the selection below and imagine your own wedding and what it could look like. All the lighting, signage and styling was lovingly created by Laura and Natalie at Lemonbox Studios. All floral displays by Endrick Blooms and combined with the styling of Lemonbox Studios. The most beautiful cake selection lovingly baked by Three Sisters Bake. My bespoke wedding display with hand painted fruit crates and vintage photo stand. As well as having every letter in the alphabet, I Love Letters can produce bespoke signs too. Lovely little touches added by Three Sisters Bake to their gin bar. As well as I Love Letters, Go 2 Event Hire also hire vintage games to keep your guests highly entertained on your wedding day. This is Three Sister's Bakes' stunning new garden room complete with moveable bar for your guests to mingle. A bit of a blast from the past in that I did an afternoon tea shoot at Three Sisters Bake last year, but worthy of resurrecting it especially for the blog and therefore your enjoyment. But it does come with a warning, you may have the sudden urge to lick your screen and/or you may find yourself drooling uncontrollably for which I take no responsibility! I was so pleased when the sisters asked me along to photograph their afternoon tea offering. Having worked with them a few times prior, I knew this would be a difficult undertaking. Seriously, you try spending lots of time pointing a camera really close up to mouth-watering delights and resisting the urge to eat it all! But hey, I thoroughly enjoyed it and loved their offering for kids, can't recommend it enough that you pop along to one of their cafes which you can find in Quarriers Village or Killearn. Enjoy! Enchanted Forest and Friends: It all happened in a tweet! Lorraine Wood Flowers: Ohhhh that smell!